If you have had caesarean section, you will be very aware of the discomfort of the incision, not to mention the difficulties of getting in and out of bed, moving around and finding a comfortable position for breastfeeding. However, it will probably encourage you to know that gentle exercise can help speed your recovery. 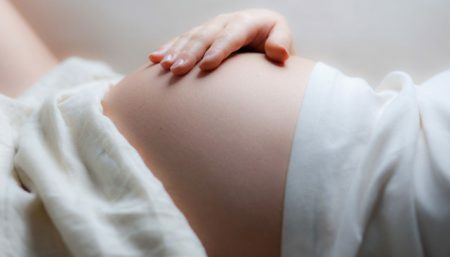 During a Caesarean delivery the rectus muscles are drawn apart; after the delivery the muscles are realigned and should recover in the same way as a vaginal delivery. Any numbness and tingling that you may feel around the incision is normal, and the underlying layers of muscle should not be affected. The damage to the abdominal muscles is less severe than many people assume. Just getting out of bed at least two or three times a day and walking around the house will help your body recover more quickly from the operation. To get out of bed, go slowly and at your own pace. Support your incision with one hand. Roll onto one side, keeping both knees together and with your shoulders, hips and knees all facing one way to avoid twisting. Push up to a sitting position and bring your feet down to the floor. Brace your abdominal muscles with one arm and let your legs do the work to push you upright. You may will find yourself stooping forward to protect your incision. Try to stand and walk as tall as possible. If it helps, you can support the incision with one hand as you move around. To get back into bed, get as close as possible to the head of the bed. Brace your abdominals with one arm, sit down on the bed and ease your legs onto the bed, one at a time. Most of the exercises in post-partum fitness regime are suitable to perform after a caesarean birth, but go slowly. Always check your posture and alignment, and learn how to get up and down from the floor safely. If any movement causes you discomfort or pain, then stop immediately. If you can only spare five minutes to exercise each day, then practice neutral pelvis, pelvic floor squeezes, abdominal compressions and shoulder rolls. • Progress at your own rate. Gentle exercises are important in order to facilitate healing of the muscles. • For the first two or three days, support your incision with your hands or a pillow for comfort. • Relax and breathe deeply throughout and between the exercises, exhaling on the effort. Do NOT hold your breath. • Support your head and shoulders with a pillow for comfort. • Start by doing each exercise twice. You can begin these exercises as soon as you recover from the anesthetic. • Make 10 circles with your ankles, clockwise and counterclockwise. • Lie on your back with one knee bent. • Keep your back flat as you slide the heel of your bent leg up and down. • Repeat with the other leg. Work only within the range in which your back can be kept flat. Repeat three to five times with each leg. Kegel exercises strengthen the muscles of the pelvic floor. 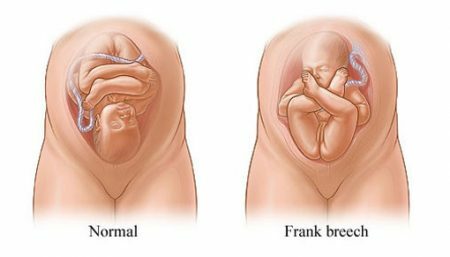 These muscles are weakened by the birth process and should be exercised immediately after birth. 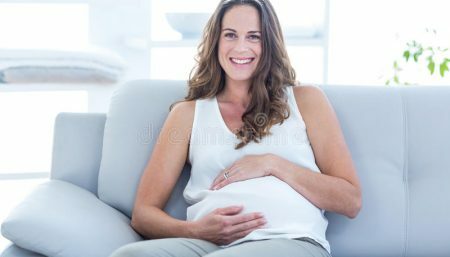 However, it may be somewhat difficult to do these exercises soon after your delivery; do as many as you can and gradually the tone will return. • Lie on your back, with your knees bent. • Tighten your stomach and buttock muscles. • Allow your pelvis to tilt upward. • Flatten the small of your back against the floor as you inhale. • Hold for a count of five. Finding a good position for feeding is important. You may have to try several positions to find out what is most comfortable for you, though you will probably have more control sitting on a chair than in bed. Try placing a thick book under one foot and a pillow on your lap to bring your baby up to breast level. Breastfeeding positions such as sidelying, the football hold, or sitting with a pillow cushioning your incision will be more comfortable. Continue to offer your breast every two hours. Many emotions may arise after a caesarean such as relief, anger, resentment, disappointment, or guilt. 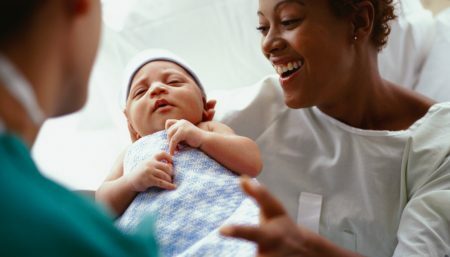 Some new mothers may wish they had had a more active part in their delivery experience or wish the decision for delivery by caesarean had been made earlier. Although most of the exercises described are suitable for women who have had a Caesarean section, one or two exercises are not appropriate.